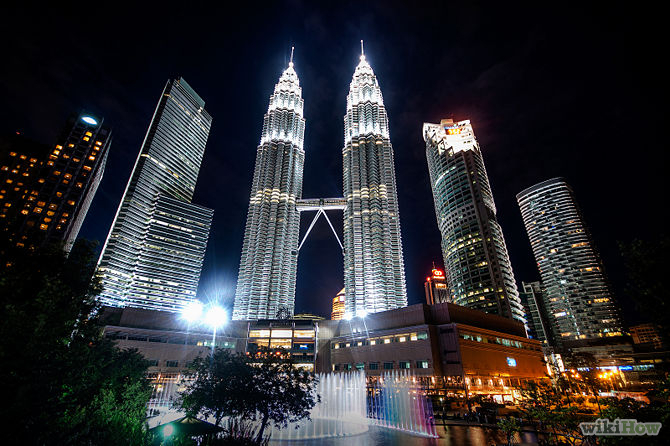 Home › Economic & Financial News › Petronas: The joints are creaking but is there any oil? Petronas: The joints are creaking but is there any oil? The ocean is a dangerous place at the best of times and for an oil tanker carrying a load of 2.5 million litres of petroleum with a value to the tune of 1.5 million US dollars you can become something of a target. Indeed just such a tanker, bound for Sandakan, was hijacked and robbed by pirates a few days ago. They are reported to have siphoned off more than 60% of its gas oil cargo before damaging the ships engines and navigation, leaving the stranded vessel adrift until the Malaysian navy was able to come to its aid two hours later. The question is, just how much longer will such Malaysian oil tankers be seen in our seas? Malaysia’s national oil company, Petronas has in the past been relied on by the Malaysian government for nearly half its revenue, however Conoco Philips Malaysia confirmed a few years ago that without new discoveries, Malaysian oil production will decline at approximately 10 per cent per year, from 550,000 bpd in 2008 to roughly 490,000 bpd in 2009 and 450,000 bpd in 2010. Furthermore, current CEO of Petronas, Tan Sri Shounsul Abbas has pointed out that without expanding its capabilities, Petronas will practically be forced to shut down operations in about 13 years. On top of this, with rumour being that Malaysian oil is set to run out on that time frame, Mr Abbas’ comments seem only to verify this theory. Oil revenue is the backbone of Malaysian government spending, all but funding state intervention and national infrastructure, so an oil less Malaysia would be unable to support government spending. The scary question is how would the Malaysian people cope without the social welfare programs that rely almost completely on oil? So what lies in store for Malaysian oil? Well, Mr Abbas is widely acclaimed for his effor ts to secure and protect Petronas’ independence and interests in spite of growing government pressure and interference. The Malaysian government are frustrated with the company who have capped their payments to 30% of net profit, furthermore Mr Abbas has targets many groups of people in his attempts to protect Petronas’ integrity and independence. He has cited his unwillingness to cut back room deal and send contracts to connected people, instead he has focussed on building up an open bidding process that will bring down costs for the national oil company. This indeed is a breath of fresh air in the corruption filled Malaysian environment. The Malaysian government needs to step back and stop interfering with Petronas and if they want the company to run in the same way and compete in the same league as companies like Royal Dutch Shell and Exxon Mobil Corporation then they must untie Mr Abbas’ hands.